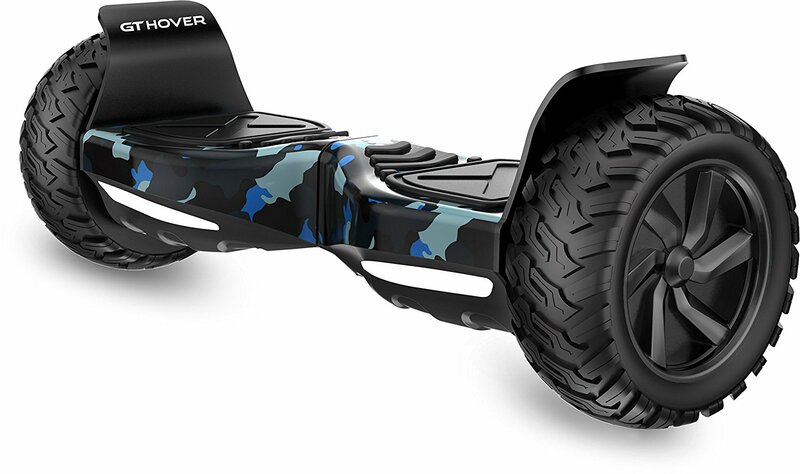 GTS by California based GT Hover is a new sport hoverboard available on the market. Actually, it is a version of EPIKGO Sport series but with a twist. Where is the twist? Well, first of all it has improved and more aggressive sport design with metallic colors and 8.5″ alloy wheels in several different colors like red, blue and black. GTS hoverboard is a real speedster which can go as fast as 12 mph, but with one major setback, it can go for only 10 miles with one charge on full throttle. If you ride it less aggressive than the ride can last for maximum 2 hours. It will take approximately 2 hours to fully recharge GTS hoverbord. 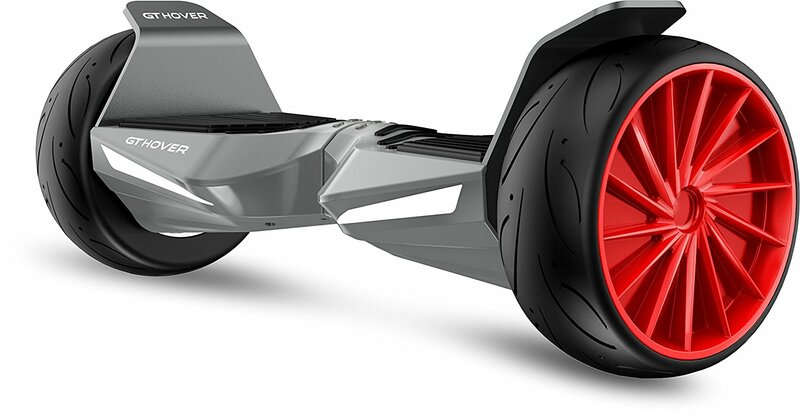 As we said, the design resembles a lot to EPIKGO Sport series hoverboards meaning that GTS is equipped with aluminium protective wings above tires and it comes with LED headlights and rear lights. Also, it has built-in Bluetooth speakers which you connect to your smartphone through GT Hover app for iOS and Android. Through the app you can control speed, power, steering sensitivity, LED lights, music and choose between normal, advanced and learning mode. The 800W motor is powered with UL 2271 certified LG Li-ion batteries and the hoverboard itself is UL2272 certified meaning it has passed numerous safety tests like overcharged test, short circuit test, over discharge test, vibration test, shock test, drop test, crash test and many more. The GTS hoverboard is water resistant to IPX4 standard and available in metallic gold and silver and jet black color with red, blue and black wheels variation.